The basic Gothic arch begins simply enough with a straight, horizontal line. to the exact same length. 2. With your compass needle at point B, construct arc A-C.
3. With your compass needle at point A, construct arc B-C. 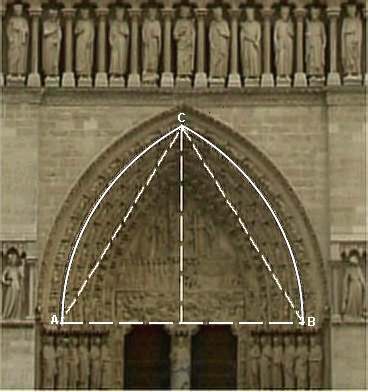 Above, the main portal at Notre Dame, Paris.